The Uncharted movie has faced yet another major setback. Director Shawn Levy has officially departed the project, meaning that Sony now needs to find a new director. That's at the very least. With a new director, that could mean a new script, or at the very least a rewrite of what they already have, and multiple other delays. This is just one more step backward for a project that has been stuck firmly in the depths of the land known as development hell for some time now. According to a new report, 20th Century Fox has given the official green light to a video game-focused movie titled Free Guy, which is set to star Ryan Reynolds in the lead. Shawn Levy has been tapped to direct and, with that, he's officially left Uncharted. He is just the latest in a long line of filmmakers who have spent time with the video game adaptation only to move on to other projects. Levy, as of late, is best known for his work producing the Netflix hit Stranger Things. However, he's helmed movies in the past such as the Night at the Museum movies and Real Steel. Actors such as Bradley Cooper have been attached in the lead role as Nathan Drake in the past. 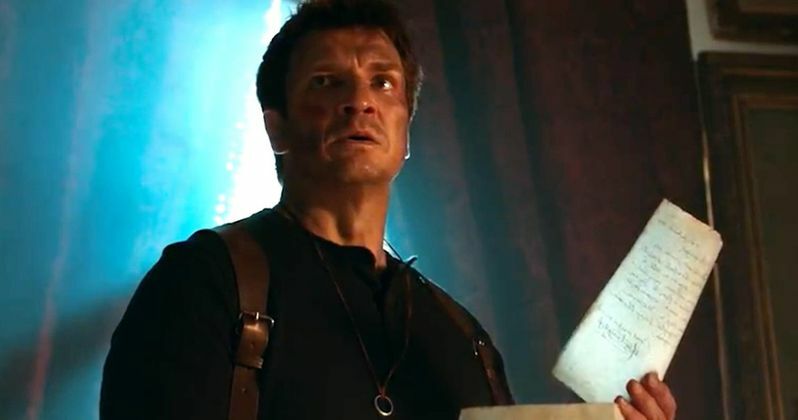 However, Sony has their sights set on a long term franchise, which is, in part, why Nathan Fillion, who has been a fan-favorite choice, isn't getting a crack at it, despite having released an excellent fan-made movie earlier this year, with Stephen Lang as Victor "Sully" Sullivan. Instead, the studio has tapped Spider-Man: Homecoming star Tom Holland as Drake to play a younger version of the character. The idea is based on a sequence from Uncharted 3: Drake's Deception, which serves as a prequel to the events of the rest of the game series. In the past, writers and directors such as Mark Boal (Zero Dark Thirty), David O. Russell (American Hustle), Thomas Dean Donnelly (Doctor Strange), Joshua Oppenheimer (The Act of Killing), David Guggenheim (Safe House) and Joe Carnahan (The Grey) have all taken cracks at Uncharted. Sony has been eager to tap into the possible franchise potential that exists here, given the success of the video game franchise for the Playstation. But it's proved to be a difficult adaptation to crack. And Hollywood, beyond development, has always had trouble making quality video game movies. The report does note that Tom Holland is still attached, so at least the studio won't have to go searching for a new actor. Unfortunately, just a few months ago, it looked like the script for Uncharted, in its current form, was done and that filming was set to begin soon. That's no longer going to be the case. At the present time, there is no indication as to who may wind up in the director's chair in place of Shawn Levy. We'll be sure to keep you posted as further details on the project are made available. This news was first reported by The Hollywood Reporter.